A good store owner is always reflecting on how to improve business. There are many ways to modify a retailer’s financial strategy. It does not always have to involve selling more products or services. At times, you need to take a step back and look behind your own doors. The moment you do, you may realize there are too many expenses that have arose from over the months and years. Nonetheless, costs are a natural part of any business, but there are some ways to reduce those to a minimum and save money. Your store is not only defined by the products and services you offer, nor the name of your establishment. Employees are a big part of the definition of your retail. Therefore, employees are an important investment and need to be treated in that manner. Just like any investment, you want to make sure it operates smoothly and avoids issues. Yes, employees assist in bringing in revenue, but can create unnecessary costs if not monitored. Hiring new employees all the time can be time consuming and expensive! When you do have the best employees, for your store, make sure you value them. The longer you can keep good employees, the lower your costs will be. If your current advertising strategy is working, you may not want to risk any changes that may negatively impact your business. However, if your current plan is not working as you intended it to maybe it is time to mix things up. The advertising world has changed. No longer are people reading articles like a decade ago. Today, the digital world is the key. The internet does not have to be overwhelming. It can turn into your ultimate weapon. Try something new and develop a skill for digital advertising such as search engine optimization and social media marketing. You do not need to have great knowledge to increase your search engine optimization for your business. Making sure your store is easily found online, especially with the correct information (like on Google), will go a long way for you. In addition, social media can be used to enhance your presence in your community. The best thing of all is these approaches have little to no cost! Budgeting should not be overlooked. Budgeting actually goes hand-in-hand with reducing business costs because it is not possible to make the right financial decisions without clarity of your cash-flow. Developing the perfect financial budget for your establishment will take time and perhaps even trial and error. Yet, once the right strategy is set into motion, costs of all forms will begin to reduce dramatically. Even though the point is to save money, do not be afraid to seek third party support to provide tips and tricks for your perfect financial budget. When equipment is not working the same anymore or may not be of any use anymore, you need to take a moment and analyze the situation. The obvious may be to purchase a brand-new retail-priced replacement. Though, there may be more cost-effective alternatives to consider first. For instances, can the item be fixed. At times you only need to call a repair man and replace a simple piece. Another consideration can be to purchase a refurbished replacement. If you must replace the equipment entirely, then you have no choice but purchasing expensive new items does not always have to be the solution. A third option to reflect upon is do you even need this specific equipment. If the item is old and was barely used, then perhaps it may not need replacing. Even the smallest voices have power. A new employee may bring in some new insight. Senior employees may have even larger insights as well. With that being said, you should listen to what every employee suggests for lowering costs. They are actually on the ground level, dealing with all sorts of interactions that you may not have the opportunity to engage in. Because employees are more engaged with everyday tasks, they have a different perspective from yours. However, your employee may not want to go the extra mile if there is extra work involved. It is understandable for them to think this way. Offering an incentive to employees, who have good ideas, may change their method of thinking. By offering a bonus, a day off, or anything appealing to the employee will create motivation for them to share ideas of saving your store money. 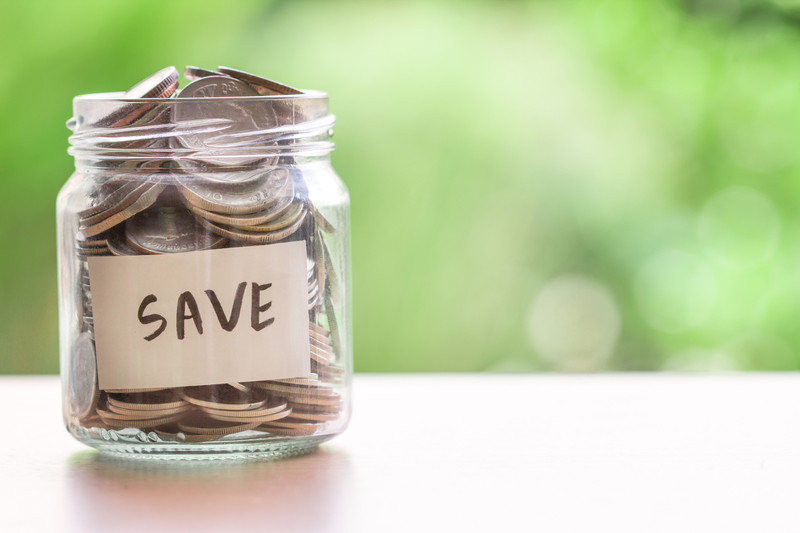 These 5 ways to reduce costs will certainly assist in saving money! It is a good idea to keep an open mind for minimizing expenses will improve your business. It will not happen overnight but taking one step at a time will open the path of saving you money. Are you searching for a new employee? Click here to learn How To Properly Train Your New Employee.